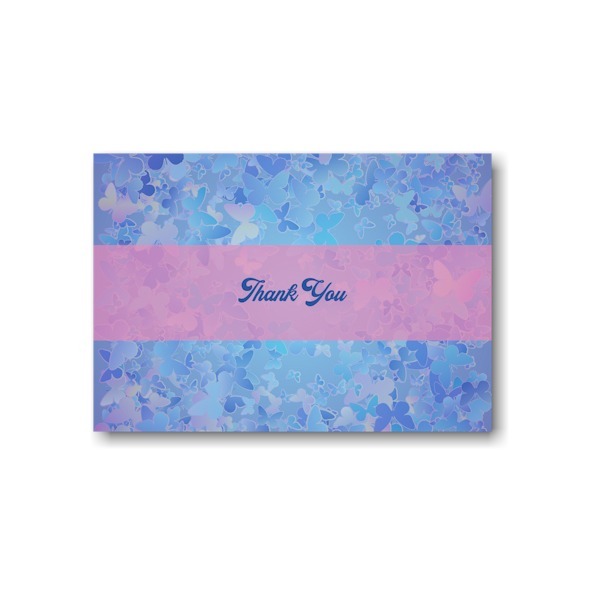 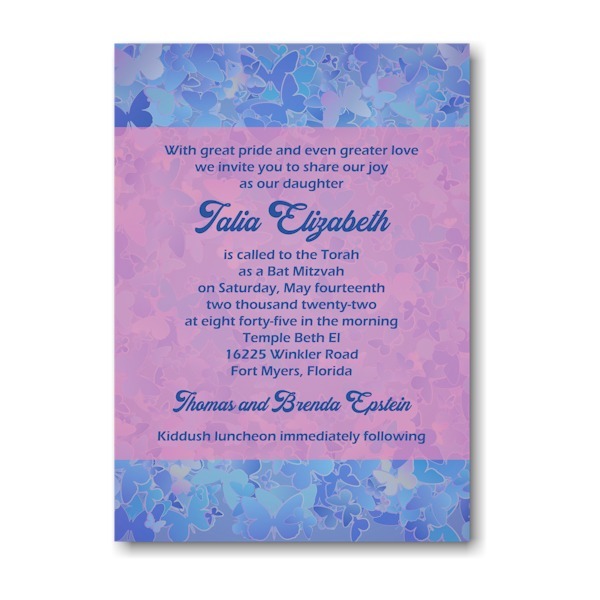 Digitally printed on one side of 120# white matte card stock, this feminine Bat Mitzvah invitation features a periwinkle background with a field of butterflies in shades of pale pink and blue. Your wording details are displayed against a faint pink background. Consider having a matching design printed on the backside for a nominal fee. 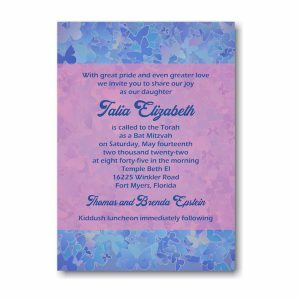 Digitally printed on one side of 120# white matte card stock, this feminine Bat Mitzvah invitation features a periwinkle background with a field of butterflies in shades of pale pink and blue. Your wording details are displayed against a faint pink background. Consider having a matching design printed on the backside for a nominal fee. 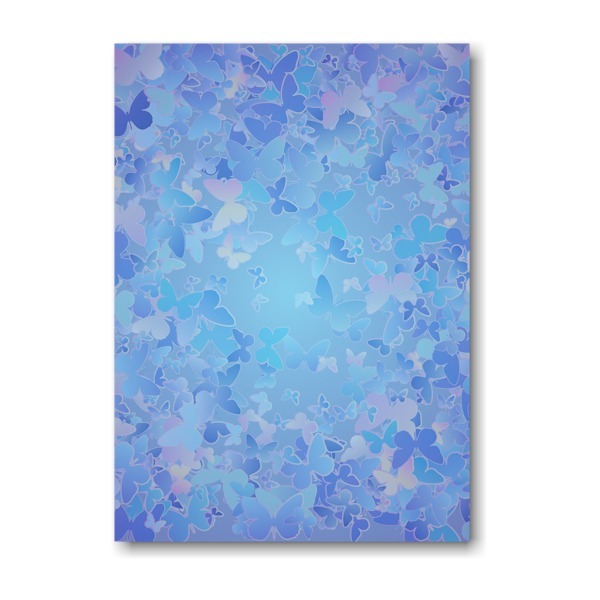 Measures 5″ wide by 7″ high. Shown with combination lettering styles Eras Demi ITC/Alexandra and deep blue ink. 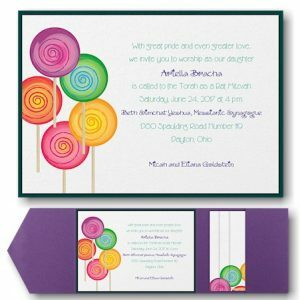 Single bright white matte envelopes accompany this budget-friendly Bat Mitzvah invitation.